IBase showcases new motherboards for Coffee Lake processors. While we await B360, H370 and H310 motherboards for the consumer market, the embedded market will soon receive new chipsets for 8th Gen Core processors. 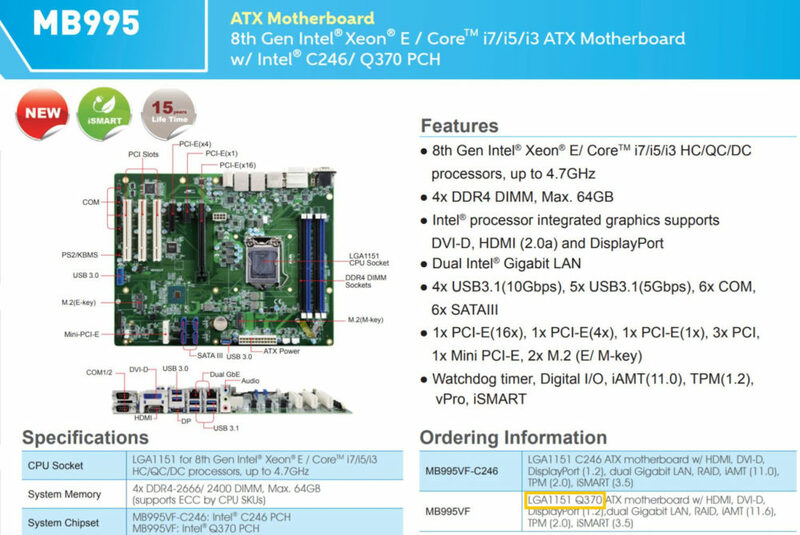 IBase has shown two motherboards which support various chipsets for Xeon E and Core processors. 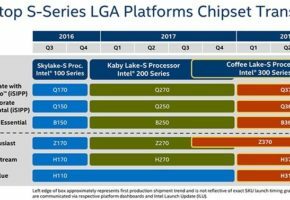 The embedded computing platform for Coffee Lake processors requires Q370/QM370 and HM370 chipsets. The MB995 motherboard ships with either C246 or Q370 chipset, depending on whether Xeon or Core processor will be used. It’s a standard ATX motherboard with four DDR4 slots and LGA1151 socket positioned in a different direction than consumer motherboards. 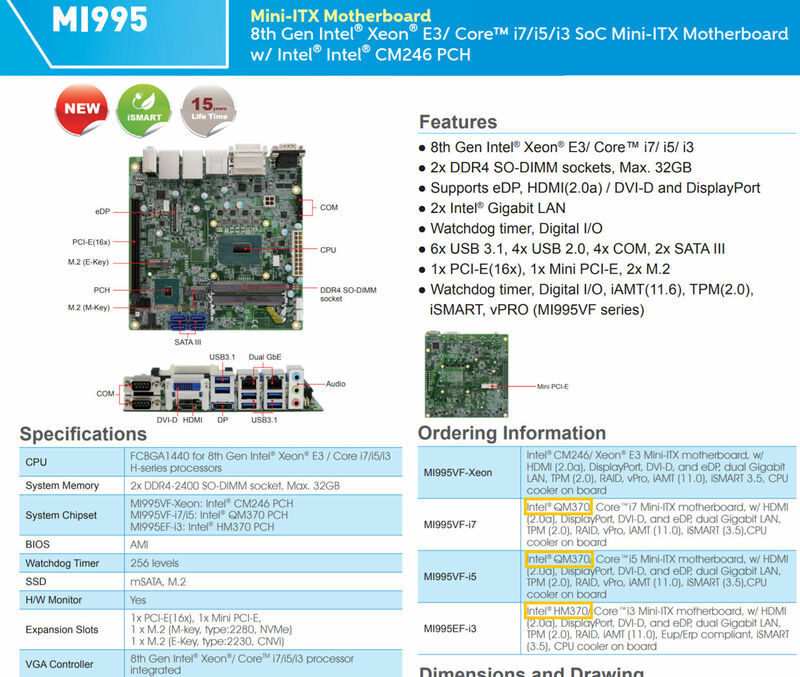 The mini-ITX motherboard called MI995 ships in four variants: MI995VF-Xeon (QM246) for Xeon E3, MI995VF-i7 (QM370) for Core i7, MI995VF-i5 (QM370) for Core i5 and MI995VF-i3 (HM370) for Core i3. This motherboard has CPU embedded in FCBA1440 socket. There is no word about the availability yet, but products are already listed in the new product datasheet.